The all-new 2016 Fiat 500X, with seating for five, is the latest addition to the FIAT lineup in North America, available with a 160 horsepower 1.4-liter MultiAir Turbo engine paired with a six-speed manual transmission, or a 180 horsepower 2.4-liter Tigershark MultiAir2 engine paired to a nine-speed automatic transmission on all-wheel-drive and front-wheel-drive models. The Fiat 500X is available with features like Uconnect 6.5 radio with a 6.5-inch high-resolution touchscreen and navigation, Bluetooth streaming audio, Uconnect Access Via Mobile, a 3.5-inch color thin-film transistor cluster display, Keyless Enter-N-Go, and heated front seats and steering wheel. 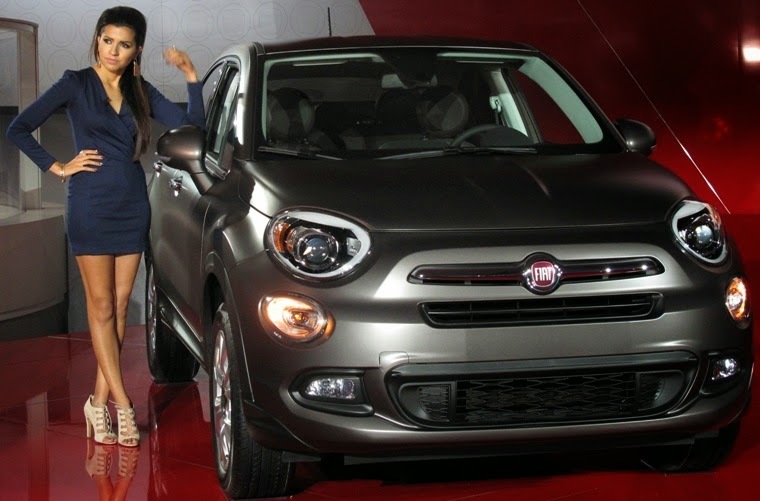 The 2016 Fiat 500X, available in five trim levels: Pop, Easy, Lounge, Trekking and Trekking Plus, will arrive in FIAT studios in North America in the first half of 2015. 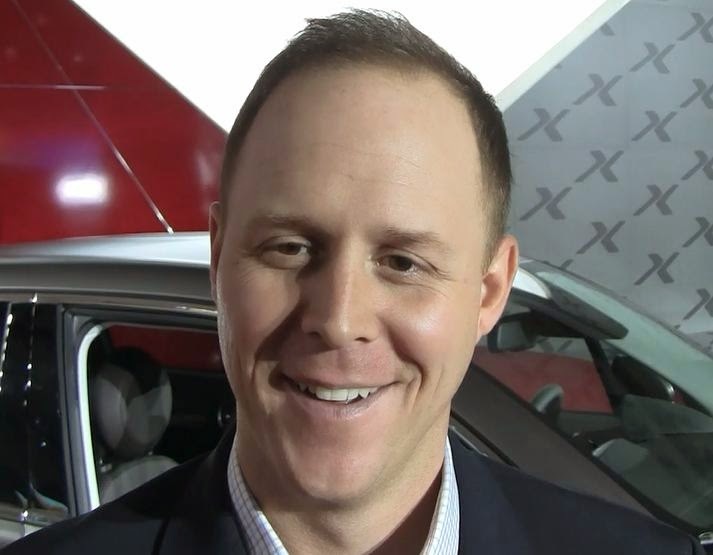 Jason Stoicevich, Head of FIAT Brand for North America, discusses he new 2016 Fiat 500X and the Fiat brand. Lexus LF-C2 concept 2+2 roadster which made its global debut at the 2014 Los Angeles Auto Show is a vision into the future for Lexus. The brilliant, golden yellow is produced by a multi-layer paint process. The first coat is a primer, followed by silver, a clear coat, then the yellow that reflects off the silver to give the brilliant luster. A final top coat is then applied. Jeff Bracken, Group Vice President and General Manager of Lexus, Toyota Motor Sales USA luxury division discusses the LF-C2, Lexus NX200 which hits showrooms December 1st and other Lexus vehicles coming to market. The 2016 Cadillac ATS-V sedan and coupe (above) have a 455 horsepower 3.6L twin-turbocharged V6 engine mated to a six-speed manual transmission with Active Rev Match, no-lift shifting and launch control or a paddle-shift eight-speed automatic transmission featuring launch control and Performance Algorithm Shift for a 0 - 60 mph time of 3.9 seconds and a top speed of more than 185 mph. The ATS-V has 25-percent greater structural stiffness than non-V models, which contributes to more precise handling and more direct steering responsiveness. The ATS-V features a 5.7-inch, three-window instrument panel cluster display incorporating CUE with Bluetooth connectivity with natural voice recognition, text-to-voice that converts incoming text messages to speech and reads them over the audio system speakers, USB, auxiliary and SD memory card ports and OnStar 4G LTE connectivity with built-in Wi-Fi hotspot. The Performance Data Recorder is controlled via CUE’s color touch screen and recordings can be reviewed on the screen when the vehicle is parked. 2016 Cadillac ATS-V sedan and coupe production begins in spring 2015. 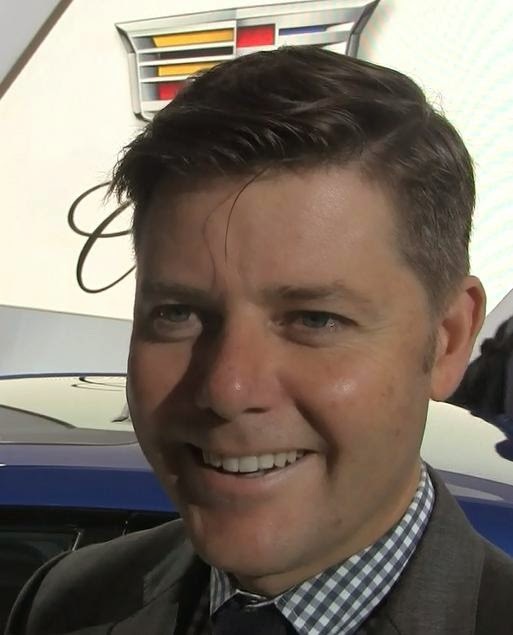 Andrew Smith, Executive Director, Global Cadillac Design discusses new ATS-V Sedan and Coupe. The all-new 2016 Mazda CX-3 (above) compact crossover SUV will be powered by a SKYACTIV-G 2.0-liter gasoline engine in North America mated to an automatic transmission with either front- or all-wheel-drive. Output details and specifications will be revealed closer to launch in summer 2015. 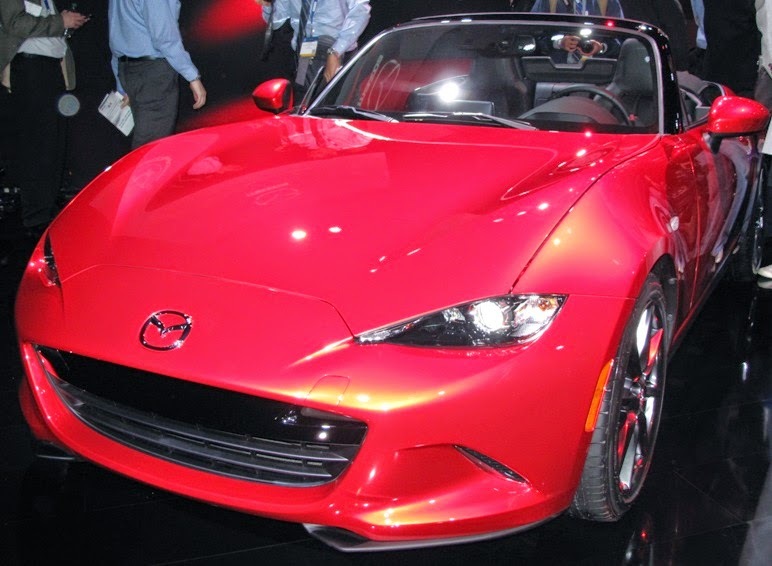 The 2016 MX-5 Miata (right), with a curb weight approximately 200 pounds lighter than the outgoing model, is also powered by a SKYACTIV-G 2.0-liter engine. Mazda6 and CX-5 receive revised front and rear lights, LED lighting on certain trim levels, Mazda Connect, an electric parking brake and newly designed alloy wheels. Exclusive to Mazda6 is the addition of the edge-lit five-point grille on certain trim levels. 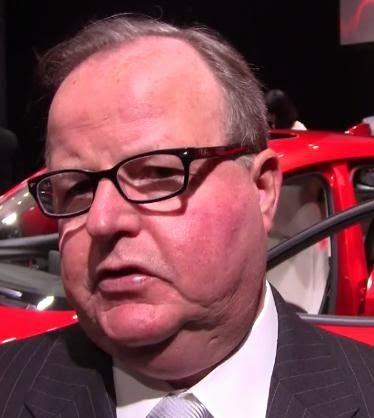 Jim O'Sullivan, president and CEO of Mazda North American Operations discusses the new introductions. 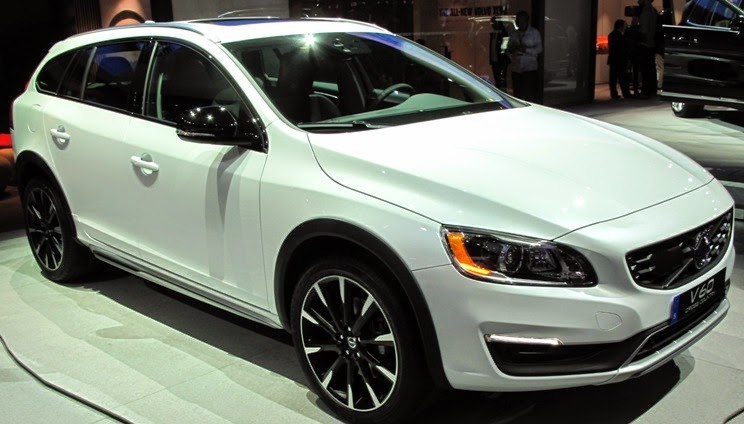 The 2015 Volvo V60 Cross Country (above), with 2.6 inches more ground clearance compared to the V60, made its world premier and the all-new 2016 Volvo XC90 its North American debut at the 2014 Los Angeles Auto Show. The Volvo V60 Cross Country, with All-Wheel Drive and new Cross Country 18” and 19” wheels, will launch in the US and Canada with Volvo’s five-cylinder 250 horsepower gasoline engine coupled to an automatic transmission delivering 23 mpg. The V60 Cross Country comes standard with Hill Descent Control, which controls the car's speed automatically when driving down steep inclines. The driver can control the speed with the brake pedal or the accelerator when Hill Descent Control is activated. 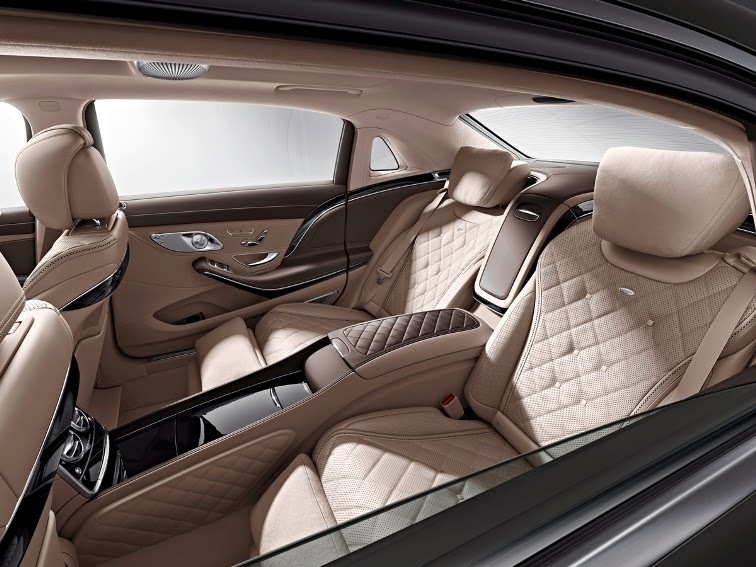 Sports seats in black leather with distinctive brown stitching will be available from launch, while two new two-tone leather upholsteries will be offered in early 2015. 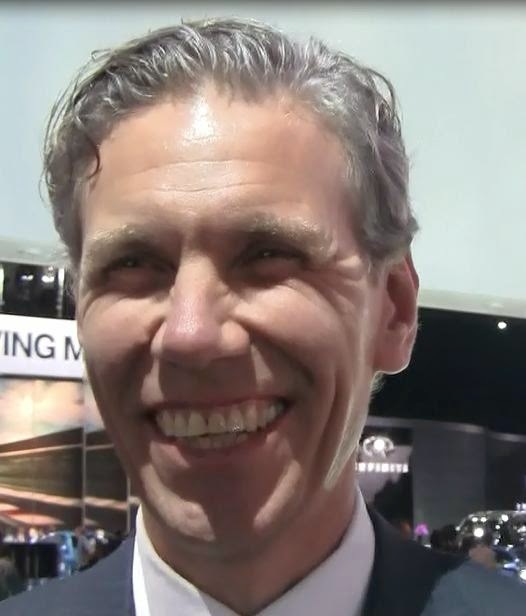 Thomas Andersson, Vice President of Global Marketing, Volvo Cars Group discusses the new vehicles and the brand's future. The MINI Hardtop 4 door has room for five with a wheelbase that's 2.9 inches longer than the MINI Hardtop 2 door and a body that's lengthened by 6.3 inches. 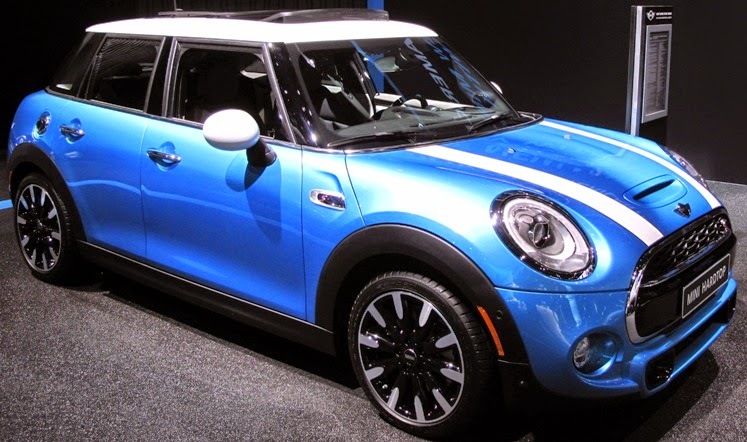 A 133 horsepower 3-cylinder engine powers the MINI Cooper Hardtop 4 door and a 188 horsepower 4-cylinder engine is in the MINI Cooper S Hardtop 4 door both mated to a newly developed 6-speed manual and 6-speed Steptronic transmissions. 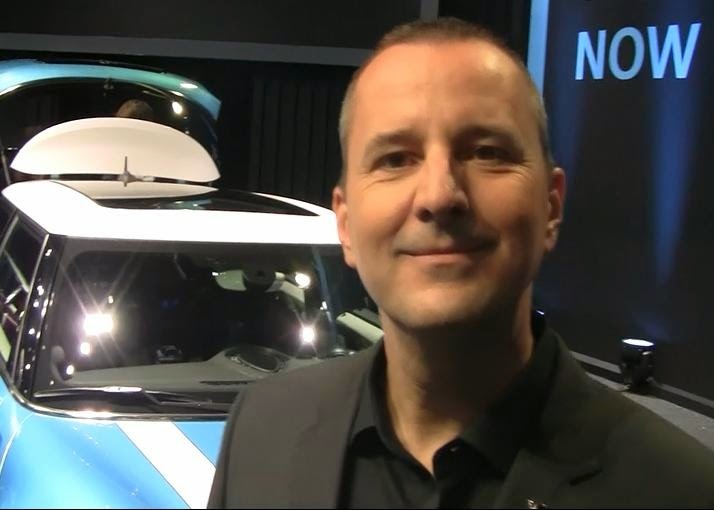 Introduced to North America at the Los Angeles Auto Show last week, David Duncan, Vice President of MINI of the Americas discusses the vehicle and the brand. Aired November 20, 2014 LIVE on KNX 1070 NewsRadio. The Lincoln MKX Concept, first shown in Beijing in April, hints at a global SUV that will become the third of four all-new Lincoln vehicles due by 2016. 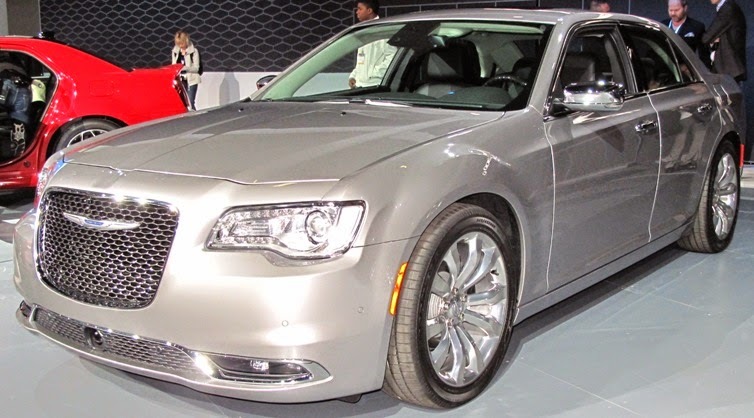 The new 2015 Chrysler 300 has a redesigned fascia with a 300 horsepower Pentastar V-6 engine has a starting price of $32,390 (including $995 destination), the same as its predecessor. In addition to the 300 Limited, new to the 2015 Chrysler 300S ($35,890), 300C ($38,890) and 300C Platinum ($43,390) models is a 363 horsepower 5.7-liter HEMI® V-8 engine with four-cylinder mode Fuel Saver Technology mated to a TorqueFlite eight-speed automatic transmission. All-new interior design elements include a standard 7-inch full-color driver information display and electronic rotary transmission shifter, plus Chrysler brand’s new three-spoke steering wheel with larger vehicle controls and available die-cast paddle shifters. There are more than 80 available safety and security features, including new for 2015 Full-speed Forward Collision Warning-Plus, Adaptive Cruise Control-Plus with Full Stop, Lane Departure Warning with Lane Keep Assist and 9-1-1 call/Assist Call. Production for the new 2015 Chrysler 300 sedan begins in the fourth quarter of 2014 at the Brampton, Ontario, Assembly Plant in Canada. The 2016 Acura ILX sports sedan gets 50 more horsepower with a new 201 horsepower 2.4-liter 16-valve, direct-injected DOHC i-VTEC engine and 8-speed dual-clutch transmission with torque converter and paddle-controlled Sequential Sport Shift for all models, the same engine and transmission combination that powers the just-launched TLX. New front and rear styling cues include standard Jewel EyeTM LED headlights, front grille and rear LED combination lights, plus a restyled 17-inch, 10-spoke aluminum alloy wheel. The new ILX A-SPEC package features a sporty side sill garnish, trunk spoiler, front fog lights and new 18-inch, 10-spoke machined alloy wheels with gloss black insets. All ILX models can be equipped with the AcuraWatch™ suite of advanced safety and driver-assistive technologies that includes Adaptive Cruise Control, Lane Keeping Assist System, a Multi-View Rear Camera with Dynamic Guidelines, as well as Road Departure Mitigation and an enhanced Collision Mitigation Braking System™ (including Forward Collision Warning) with sensor fusion technology that enables new capabilities including pedestrian sensing. The Acura entry-level ILX goes on sale early next year. The new 2015 Nissan JUKE sport cross, now on sale, features a revised exterior and enhanced standard equipment, plus a new JUKE "Color Studio" personalization program. The JUKE S Xtronic FWD starts at $21,075 (including destination and handling of $825) to the top-of-the-line JUKE NISMO RS Xtronic AWD starting at $30,845. For 2015, JUKE gets a second-generation version of its 188 horsepower 1.6-liter Direct Injection Gasoline (DIG™) Turbo, 16-valve DOHC aluminum-alloy inline 4-cylinder engine, standard on JUKE S, SV, SL and NISMO models. The JUKE NISMO RS has 215 horsepower for the 6-speed manual transmission-equipped front-wheel drive model. The JUKE NISMO RS AWD with Xtronic transmission is rated at 211 horsepower. On S, SV and SL models, one transmission is offered: Nissan's advanced Xtronic transmission with Manual Mode and new D-step Logic Control while a 6-speed manual is available on NISMO and NISMO RS models. Fuel economy for Xtronic-equipped JUKEs has been increased for 2015 by 1 mpg city and combined for front-wheel drive models to 28/32/30 mpg city/highway/combined and by 1 mpg city, highway and combined for all-wheel drive models, now 26/31/28 mpg respectively. The all-new 2015 Nissan Murano, in S, SV, SL and Platinum trim levels, in a choice of front-wheel or all-wheel drive with a standard 3.5-liter DOHC V6 engine connected to an advanced Xtronic transmission starts at $30,445 (including destination and handling of $885) for the Murano S FWD, while the top-of-the-line Murano Platinum AWD is priced at $41,485. Just three option packages are offered: Navigation Package (S), Premium Package (SV) and Tech Package (SL, Premium). The new Murano is scheduled to arrive at Nissan dealers nationwide beginning on December 5, 2014. 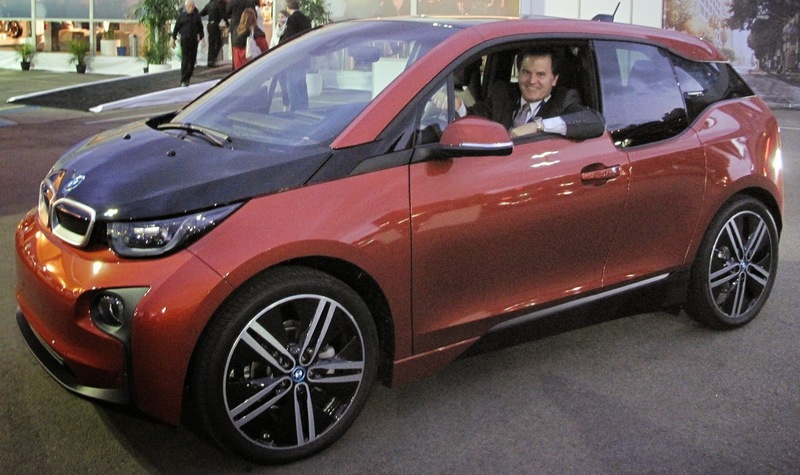 The BMW i3 takes Green Car of the Year Award 2015 by Green Car Journal. One year after its launch, the BMW i3 is already the third best-selling all-electric automobile on the market with more than 12,000 sold since November 2013. Aired LIVE on KNX Wednesday November19, 2014. The all-new 2016 Mazda CX-3 compact crossover SUV powered by a SKYACTIV-G 2.0-liter gasoline engine mated to the SKYACTIV-Drive automatic transmission exclusively in North America. Other markets will be the newly-introduced SKYACTIV-D 1.5-liter clean diesel engine. CX-3 will offer the Mazda Connect infotainment system and i-ACTIVSENSE advanced safety features. The CX-3 global launch starts in Japan next spring and in the U.S. next summer. Bentley Grand Convertible in Sequin Blue has a 530 horsepower 6¾-liter twin-turbo V8 engine delivering 811 lb.ft of torque - the same as in the flagship Mulsanne. 14 naturally tanned leather hides are merged together with progressive-diamond quilting, with the shape of the pattern changing over the seats and doors in a cabin sized for four adults. 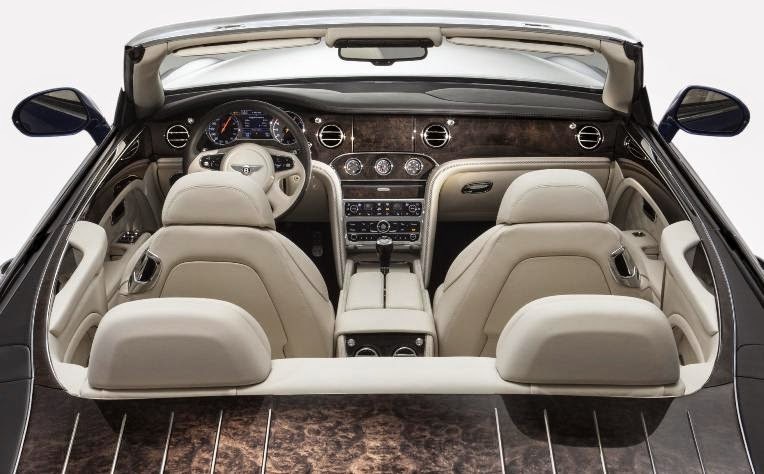 With dark-stained Burr Walnut, the largest piece of wood veneer ever applied to a Bentley is finished with parallel lines of chromed steel. After sitting at the Los Angeles Auto Show for a couple of weeks, the Grand Convertible will head to Miami's Art Basel international art show. All-new Ford Shelby® GT350 Mustang has more than 500 horsepower and torque peak above 400 lb.-ft. from a flat-plane 5.2-liter V8 engine mated to a six-speed manual transmission. The 180-degree, flat-plane layout permits a cylinder firing order that alternates between cylinder banks, reducing the overlap of exhaust pressure pulses. When combined with cylinder-head and valvetrain advancements, this permits better cylinder breathing, further extending the performance envelope of the V8. An all-new integrated driver control system allows selection of five unique modes that tailor ABS, stability control, traction control, steering effort, throttle mapping, MagneRide tuning and exhaust settings, depending on driver preference. A standard Ford-tuned Torsen limited-slip differential optimizes cornering grip and straight-line traction. Toyota Mirai, which in Japanese means “future", is a new four-door fuel cell powered sedan that can travel 300 miles on a single tank of hydrogen, be refueled in under five minutes and emit only water vapor. In May, Toyota announced a $7.3 million loan to FirstElement Fuels to support the operations and maintenance of 19 hydrogen fueling stations across California while Toyota is collaborating with Air Liquide to develop and supply a phased network of 12 state-of-the-art hydrogen stations targeted for New York, New Jersey, Massachusetts, Connecticut, and Rhode Island ahead of the Mirai's 2016 arrival. The new Scion iM Concept five-door compact hatchback with racing-style vented front rotors and 4-piston calipers work and adjustable height racing suspension with 19-inch forged alloy wheels and performance tires will be on display starting this weekend at the Los Angeles Auto Show. 2016 Audi TT Roadster and TTS Coupe will feature a 220 horsepower 2.0L TFSI engine and the Audi TTS Coupe will have a 292 horsepower turbo 2.0L TFSI engine, both with quattro permanent all-wheel drive and mated to a six-speed dual clutch S tronic® transmission. The TT will be available as coupe and roadster and the TTS will be available as a coupe only. The all-new Audi TT will also feature the most advanced version of Audi connect®, including picture navigation, read-aloud news headlines, Facebook® and Twitter® alerts, access to more than 7,000 Web radio stations, personalized RSS news feeds and more. The third-generation Audi TT Roadster and TTS Coupe will make their U.S. debut at the 2014 Los Angeles Auto Show this week and arrive for sale on US shores during the second half of 2015. 2015 Audi R8 competition powered by a 570 horsepower 5.2L V10 engine mated exclusively to a seven-speed S tronic and a sport exhaust system with black high-gloss tailpipes races from 0-60 mph in 3.2 seconds hitting a top speed of 199 mph, making it the fastest R8 ever offered. A total of 60 will be produced at the R8 production facility in Neckarsulm, Germany. Customers can begin ordering the Audi R8 competition now with deliveries expected at the beginning of 2015. Volkswagen GTI Roadster, Golf R 400 To Be On Display In L.A.
Volkswagen GTI Roadster two-seat convertible concept car, originally created on-screen for the Sony PlayStation®3 classic "Gran Turismo 6", comes to life with 3.0-liter V6 twin-turbocharged TSI® engine that produces 503 horsepower and 413 pound-feet of torque mated to a seven-speed DSG® dual-clutch automatic transmission and a 4MOTION® all-wheel-drive system. The GTI Roadster sprints from 0 to 60 mph in an estimated 3.5 seconds and goes onto a top track speed of 192 mph. Volkswagen Golf R 400 concept car powered by a 394 horsepower 2.0 TSI four-cylinder engine with 4MOTION permanent all-wheel drive makes its North America debut at the Los Angeles Auto Show this week. Haldex-5 coupling, is activated even before slip occurs. Under low load conditions, or during coastdown, the front wheels handle most of the propulsive power, while the rear axle is decoupled, saving on fuel. 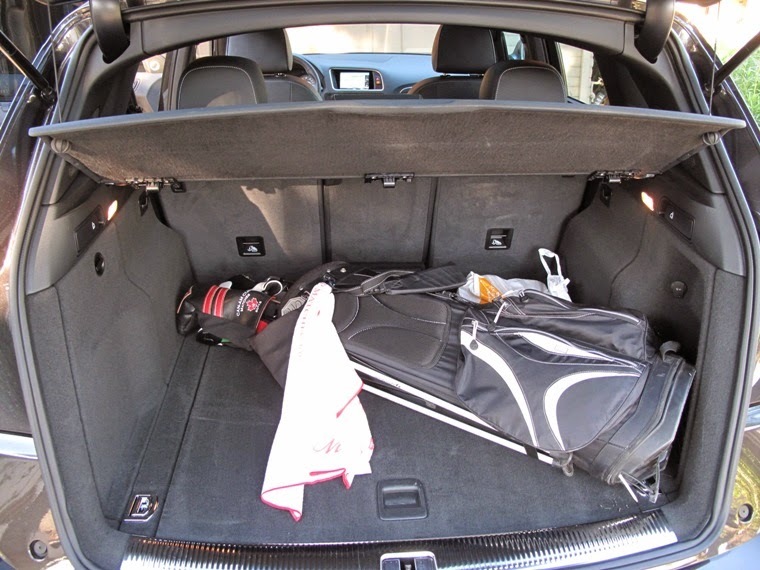 If necessary, the rear axle of the Golf R can be variably engaged in fractions of a second. This is done by means of the Haldex coupling that is activated by an electro-hydraulic oil pump. The Golf R 400 concept car zips from zero to 62 mph in 3.9 seconds and to an electronically limited top speed of 173 mph. The new Mercedes-Maybach S 600, represents a new nomenclature starting next year and makes a world premiere this month in Guangzhou and Los Angeles. The five core model series, A, B, C, E and S, will continue to be used while SUVs will have the first two letters "GL" in their name. The "G" here denotes the car's lineage, the "L" is a letter that appears over the history of Mercedes-Benz and the third letter indicates the relationship to the relevant core model series: GLA = GL A-Class, GLC = GL C-Class (previously GLK), GLE = GL E-Class (previously M-Class or ML), GLE Coupé = GL E-Class Coupé, GLS = GL S-Class (previously GL). The system for the 4-door Coupés is "CL" with the third letter the link to one of the core model series: CLA and CLA Shooting Brake, or CLS and CLS Shooting Brake. From 2016 on the Roadsters will all include "SL" in their names to denote their origin, with the third letter again the link to one of the core model series. The SLK therefore becomes the new SLC. The different types of engines will also be given new designations: c for "compressed natural gas" (Natural Gas Drive until now), d for "diesel" (BlueTEC and CDI until now), e for "electric" (PLUG-IN HYBRID, BlueTEC PLUG-IN HYBRID and Electric Drive until now), f for "fuel cell" (F-CELL until now), and, h for "hybrid" (HYBRID and BlueTEC HYBRID until now). The 2016 Audi A6 gets a new 252 horsepower 2.0 liter four cylinder TFSI engine as the entry powertrain to A6 model line greater performance. The 3.0T has been enhanced to produce 333 horsepower, up by 23 horsepower from the previous version, 325 lb. ft. of torque, and a Tiptronic transmission. The A6 TDI will generate 240 horsepower and 428 lb. ft. of torque with a Tiptronic transmission. The S6 produces 450 horsepower, up 30 horsepower from the previous version, and 406 lb. ft. of torque mated to an S tronic transmission. The 2016 Audi A7 (European model above) is offered with 3.0T and clean diesel TDI engines, along with the S7 and RS 7 variants. All have the same engines and transmissions used by the A6 and S6 models. Each vehicle has different calibration for the electronic stability control, ABS, and transmission shift points to ensure that the wider track and weight of the A7 model line meet Audi specifications. The RS 7 features the 8-speed automatic Tiptronic transmission and produces a 560 horsepower and 516 lb. ft. of torque. All variants are offered with quattro permanent all-wheel drive. The 2016 Audi A6 and A7 both receive new front design with new LED headlights and rear features LED taillights and new trapezoidal tailpipes. All variants are offered with a quattro permanent all-wheel drive. The S6 and S7 also feature an available Sport Exhaust system with black oval tailpipes. Jim Farley, 52, (left) is appointed executive vice president and president of Europe, Middle East and Africa replacing Stephen Odell, 59, (right) who is taking Farley's position of executive vice president, Global Marketing, Sales and Service, effective Jan. 1, 2015. Both will continue to report to Ford president and CEO Mark Fields. 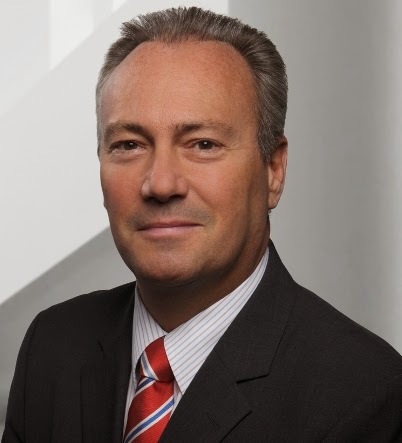 Farley will be responsible for continuing to lead and accelerate Ford’s transformation in Europe, executing the One Ford plan to achieve profitable growth where losses have been mounting. The focus is on new products and increased cost efficiency. The move is subject to immigration approval. 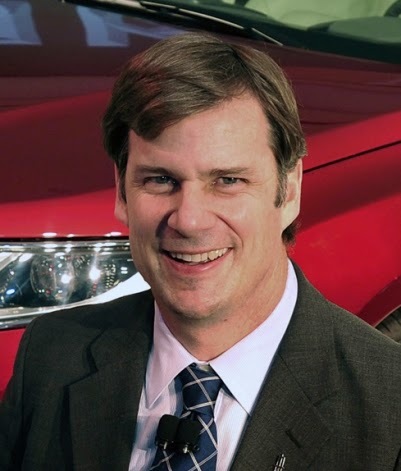 Farley took over Global Marketing, Sales & Service for Ford in 2007 after coming from Toyota where he was group vice president and general manager of Lexus and, prior to that, spent more than 10 years in Marketing, Sales and Service leadership positions at Scion, Toyota and Lexus, in the U.S. and Europe. Odell will be focused on continuing to build the Ford and Lincoln brands globally through innovative new digital communications and transforming the retail experience for customers. 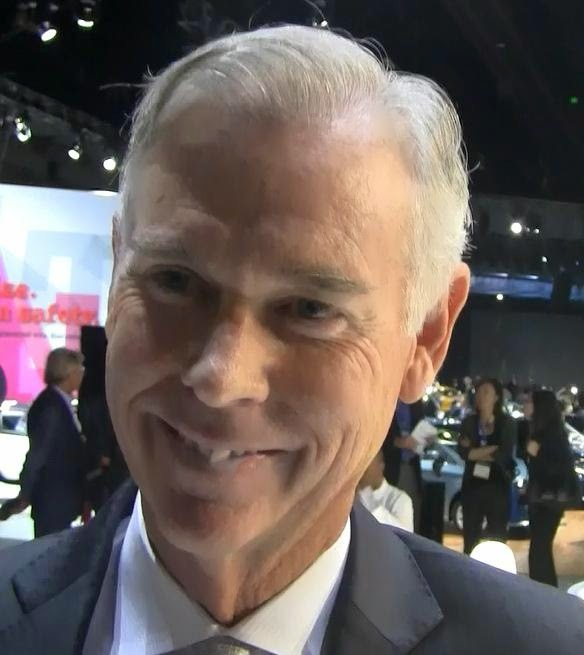 Odell, during his 34-year career at Ford, served as president and CEO of Volvo Car Corporation from 2008 to 2010 and led Marketing, Sales and Service at Ford of Europe and at Mazda Motor Corporation in Japan. The new all-wheel-drive Jaguar F-TYPE R Coupé is one of a number of performance enhancements to the Jaguar F-TYPE range which will grow from six to 14 derivatives in 2015. The full range will debut at the LA Auto Show on November 19. Tesla delivered 7,785 Model S vehicles in its 3rd quarter, the highest ever quarterly deliveries despite a factory shutdown in July, and, that included its highest single day delivery of 907 vehicles, according to the letter to shareholders in the just released third quarter financial results. The majority of third quarter deliveries were in North America representing a 65 percent gain in September 2014 over September 2013. In an effort to ramp up production faster, Tesla is reducing the number of Model S options. For three quarters of 2014, Tesla has reported deliveries of 21,821 Model S vehicles, according to quarterly shareholder letters. Tesla expects full year production to be about 35,000 cars despite entering the fourth quarter with a deficit in production of 2,000 units from the third quarter. Tesla also predicts Model S orders and deliveries alone to increase by 50 percent in 2015. The new Model X crossover delivery schedule has been delayed a few months to the third quarter of next year as testing of Alpha prototypes and initial builds of the first Beta prototypes is almost finalized. Model X powertrain development is almost complete with the early introduction of Dual Motor drive on Model S.
Read more about Tesla Chairman & CEO Elon Musk. 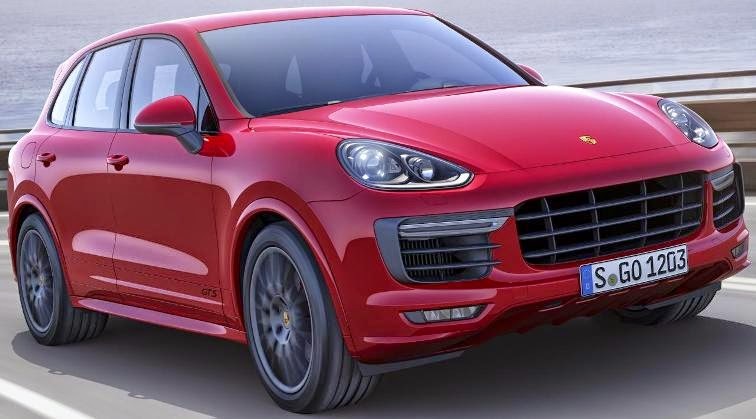 The new Porsche Cayenne GTS is powered by a 440 horsepower 3.6 liter V6 twin-turbo engine, 20 more horsepower than the previous V8 with better fuel efficiency and mated to a new eight-speed Tiptronic S with Auto Start/Stop. The Cayenne GTS accelerates from 0 to 62 mph in 5.2 seconds. The MSRP for the Cayenne is $59,295 and for the Cayenne GTS is $96,495 (including destination charge of $995). Porsche Cayenne sales of all trims year-to-date are 13,652, down 12.4 percent from the first 10 months of 2013. The Cayenne and Cayenne GTS make their world premiere on November 19th at the 2014 Los Angeles Auto Show. Sales of both models will start in the United States at the end of February 2015. The Volvo V60 Cross Country will launch with Volvo’s 250 horsepower five-cylinder gasoline engine with All-Wheel Drive coupled to an automatic transmission delivering a 23 mpg. The V60 Cross Country comes standard with Hill Descent Control, which controls the car's speed automatically when driving down steep inclines. The driver can control the speed with the brake pedal or the accelerator when Hill Descent Control is activated. The V60 will debut at the 2014 Los Angeles Auto Show in a few weeks. Volvo has sold 4,319 V60 models in 2014. The all-new 2016 Kia Sorento CUV, larger than the previous generation and offering up to three rows of seats, will be available in L, LX, EX, SX and SXL trim levels. It comes when year-to-date Sorento U.S. sales have slipped to 84,234, down 5.9 percent from the first 10 months of 2013. The new Sorento will debut at the upcoming Los Angeles Auto Show. The luxury compact SUV/crossover space is crowded in a tight $35,000 to $50,000 price range depending on option choices, and, with many vehicles at different stages of their production cycles which impacts engine and connective technology. The Audi Q5 competes with the BMW X3, Mercedes-Benz GLA & GLK Classes, Infiniti QX50, Volvo XC60, Acura RDX and Cadillac SRX and Lincoln MKC. Many car buyers may be entering the segment for the first time, stepping up from less expensive SUVs or stepping down in size from large SUVs - they want to keep the SUV feel and gain luxury in an easy transition. SUV feel means higher driver position and stiffer ride than a car but the jump should translate into much improved gas mileage which many of these newer SUV/crossovers try to accomplish. We always say beauty is in the eye of the beholder, so vehicle looks and stigma - who else is driving one - are considerations. The test drive of the top-of-the-line Audi SQ5, was more intended to scope out vehicle handling, size, space and feel. The 17.8 mpg, over 205 miles mostly on the highway, fell slightly short of the posted 19 combined mpg but the SQ5 is a performance vehicle and it did perform. The SQ5 has a 354 horsepower 24-valve DOHC supercharged V6 engine mated to the eight speed Tiptronic transmission, and this one also had lava grey pearl effect ($500), Prestige trim ($7,500), driver assist package ($2,750), Nappa leather seats ($1,500), layered wood inlays ($1,100) and destination charge ($895) brought the price as tested to $66,145. The Audi SQ5 is the performance version of the Audi Q5 midsize crossover which means it's more car-like than SUV, though there were ride setting choices for a more sporty ride. 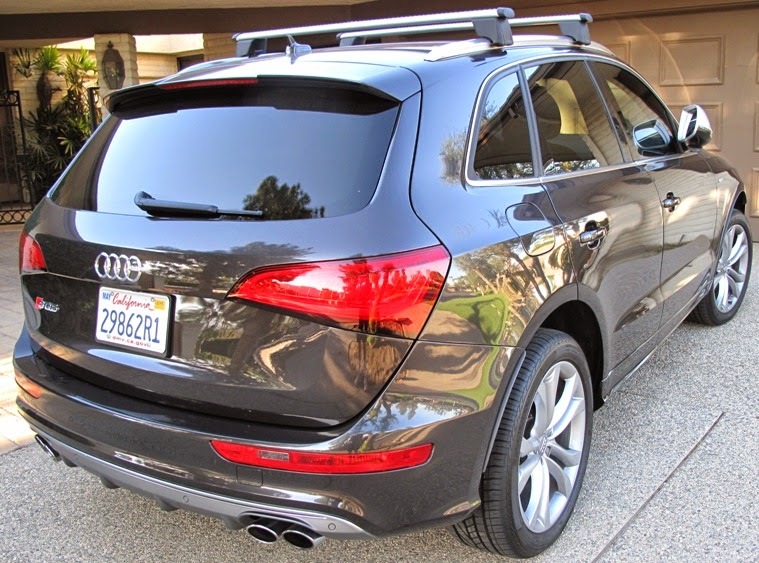 I drove the Audi SQ5 for a week and found it fun, prestigious, very powerful and roomy. Around Los Angeles and to Palm Springs and back, the seats could have been a little softer for the longer drives. The ride height was lower than its competitors making it more car-like than the raised-above-traffic SUV vantage point that many SUV migrants will demand. The SQ5 seat could be raised and lowered which made a difference. The cargo roominess and accessibility were great. The Bang & Olufsen sound system gets top marks. The technology was intuitive, easy to use and connected quickly to my smartphone for phone and music feeds - better than most. Sitting on a 110.5 inch wheelbase, the Audi SQ5 is 183 inches long with a height of 65.3 inches. Cornering and handling were confident and solid through the highway 60 mountains from Moreno Valley to Beaumont. More than enough power with superb quattro handling that Audi has deservedly been awarded for. Questions remain: If you want to pay under $40,000 for the base 220 horsepower 2.0 liter turbocharged four-cylinder engine without the bells and whistles of the SQ5, will you be satisfied? You will get better fuel economy. Do you really need or want all-wheel drive? Definitely put the Q5 in the top cluster of your shopping list. After sorting through the jammed luxury midsize crossover/SUV market and realizing that you'll be spending a few years and thousands of miles behind the wheel, fork out a few extra bucks to make the right choice. General Motors delivered 226,819 vehicles in the United States in October for the company’s best October sales in seven years, up 0.2 percent from a year ago. Year-to-date sales of 2,434,707 is a 3.9 percent gain over the first ten months of 2013. Cadillac sales of 141,452 in 2014 is a drop of 4.4 percent. Ford Motor Company U.S. sales totaled 188,654 vehicles in October, down 1.7 percent from a year ago. Lincoln 2014 sales of 76,671 is a 14.5 percent jump over last year while overall Ford sales year-to-date of 1,996,600 is a drop of 1.1 percent from 2013. Toyota, Scion and Lexus reported total October 2014 sales results of 180,580, an increase of 6.9 percent from October 2013. Year-to-date sales are 1,975,368, an increase of 5.8 percent over 2013. Chrysler Group reported U.S. sales of 170,480, a 22 percent increase compared with sales in October 2013 and the best October sales since 2001. Year-to-date sales of 1,726,539 is a 15 percent increase over last year. American Honda reported total October 2014 Honda and Acura vehicle sales of 121,172, an increase of 5.8 percent versus October of last year. The Honda division set a new October record on sales of 105,745 vehicles, an increase of 5.5 percent for the month. The Acura division posted sales of 15,427 units to rise 7.9 percent in the same period. Year-to-date total sales are 1,281,777, a 0.6 percent increase over 2013. Nissan Group announced total U.S. sales for October 2014 of 103,117, an increase of 13.3 percent over the prior year and an October record. Year-to-date sales of 1,166,389 is a 13 percent increase. Year-to-date Infiniti sales of 93,925, is a 4.3 percent increase over last year. Hyundai Motor America announced October sales of 50,081, down 6 percent versus the same period in 2013. Year-to-date sales of 607,539, is a rise of 9.6 percent from 2013. Kia Motors America announced record October sales of 44,694, a 12.4 percent rise over a year ago. Year-to-date sales are 489,711, up 7.4 percent from 2013. Volkswagen of America reported sales of 30,313, a 7.8 percent increase over last year while year-to-date VW sales of 301,187 is a 12.2 percent drop. Separately, Audi reported that its October 2014 sales 15,150 vehicles, an increase of 16.5 percent for 46 consecutive months of record monthly U.S. sales. Audi U.S. sales year-to-date of 146,133 vehicles is up 14.7 percent from a year ago. Subaru of America sold 43,012 vehicles in October 2014, a 25 percent sales increase resulting in an October sales record. Year-to-date sales of 418,497 vehicles sold is a 20 percent jump over the same period last year. The company has now seen 35 consecutive months of year-over-year growth and is well on its way to its sixth successive annual sales record. The BMW Group in the U.S. (BMW and MINI combined) reported October sales of 35,902 vehicles, an increase of 7.9 percent from the same month a year ago. Year-to-date, the BMW Group (BMW and MINI combined) is up 6.1 percent on sales of 311,681 in the first ten months of 2014 compared to the same period in 2013. Sales of BMW brand vehicles were 30,602 in October, an increase of 11 percent and year-to-date, the BMW brand sales of 267,193 is up 12 percent compared to the first ten months of 2013. Mercedes-Benz reported sales of 28,593 vehicles, down 4.9 percent from a year ago while year-to-date sales are 261,804, an increase of 6.8 percent from the first 10 months of 2013. Adding Sprinter Vans sales of 19,925, up 17.4 percent and smart sales of 8,665, up 16.3 percent, year-to-date volumes for Mercedes-Benz USA (MBUSA) hit a record 290,394, up 7.7 percent. Mazda North American Operations reported October U.S. sales of 18,798 vehicles, a decrease of 4.8 percent versus last year. Year-to-date sales of 240,228 vehicles through October are up 8.1 percent versus last year. Mitsubishi Motors North America had October sales of 6,199, a 30.5 percent increase over the sales total from October 2013. Year-to-date sales of 64,564 is 30.2 percent higher than 2013. Volvo Cars sold 3,972 vehicles in the U.S. in October a 1.4 percent increase while year-to-date sales of 47,828 is an 8.2 drop from a year ago. Porsche Cars North America announced October 2014 sales of 3,667 vehicles, up 2.9 percent. For the year, PCNA has delivered 39,033 vehicles in the U.S., an increase of 11.2 percent over the same time period in 2013. Maserati North America posted sales of 1,227, its best October yet equaling a 258 percent year-over-year increase. The new BMW X5 M (left) starting at $99,650 and new BMW X6 M (right) starting at $103,050 (including $950 Destination and Handling) will arrive in US showrooms in the Spring of 2015. The all-wheel-drive BMW X5 M and BMW X6 M is powered by a new 567 horsepower 4.4-liter M TwinScroll turbocharged V8 engine mated to a newly developed eight-speed M Steptronic transmission with Drivelogic, which closely follows the operating philosophy of the M Double Clutch Transmission used by other M models. Both models complete the sprint from 0 to 60 mph in 4.0 seconds. Their World debut will be at the 2014 Los Angeles International Auto Show on November 19th.